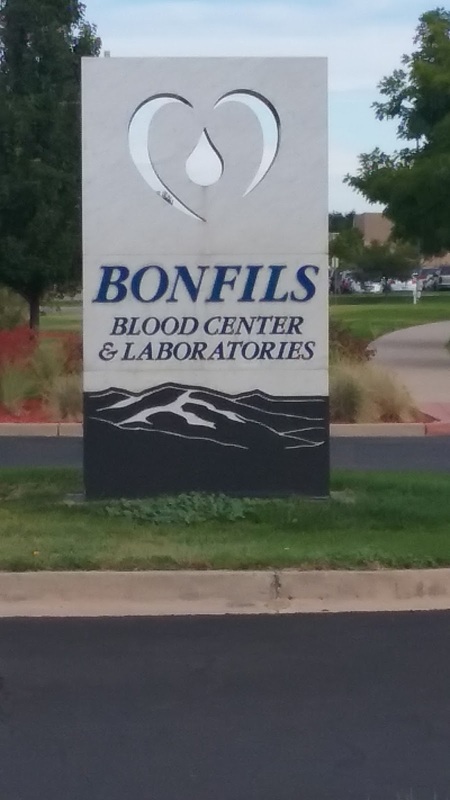 As you can probably guess from the pictures at the beginning of this post, I went to my local blood bank. Although I ended up NOT being able to donate, it was not due to my lack of trying. I try to donate relatively often because as someone with a relatively rare blood type, the blood fractions I donate (plasma or platelets) are in high demand. Last week, I donated plasma and made an appointment for the first week of October. Two days ago, I received a phone call from the blood bank asking if I could come in and donate platelets as I was a match for a critical patient. I agreed, and made an appointment to come and donate. I arrived and everything went smoothly until they tried to start the donation in my right arm. For some reason, I developed a clot in the needle inserted for the draw. Even though I KNOW that I have less than a 1% chance of a successful donation out of my left arm, I asked that they attempt a donation from that arm instead. That arm refused to produce any result either. The key here is that I knew that someone had a very serious need for the blood and although I knew that the chance was very small for my left arm to work, I was still going to try that arm as well. Why? The reason was that a person who I might NEVER meet needed it and I was going to try to help and not say to myself after the first stick “You tried your best” when I would know that I hadn’t. Even if the best attempt results in failure, the Gods DO know that we made that attempt. A faith that calls on us to exercise both Kharis and Arete demands nothing less than our best efforts. This may not be “traditional” worship, but as I know the priests of Asclepius in ancient times were doctors as well, can I not use the act of blood donation as a form of honoring that deity? ← Hellenic Polytheism and Social Activism — are these things compatible?